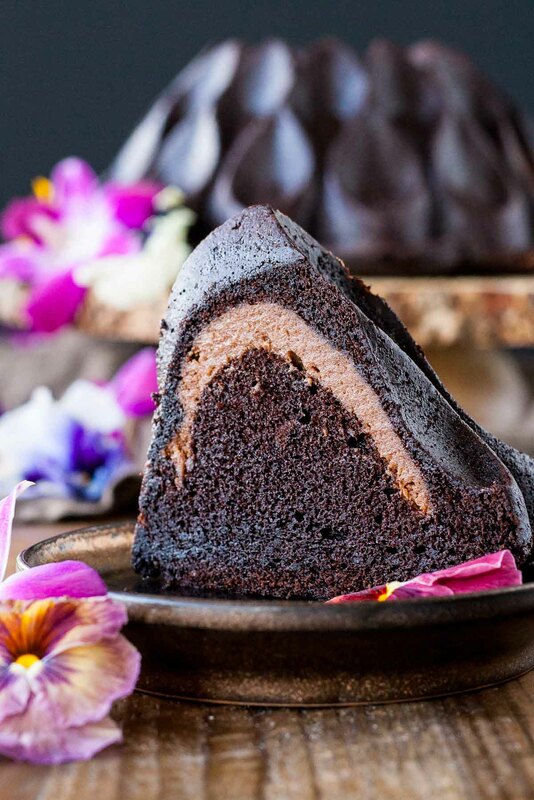 Double the chocolate in this delicious Chocolate Cheesecake Stuffed Bundt Cake! This post has been sponsored by Nordic Ware. They sent me this stunning Crown Bundt pan and have compensated me monetarily for this recipe. All opinions are my own. I don’t have to tell you how excited I was about this Crown Bundt pan when I first saw it. I may have gasped. You guys know I am a huge Bundt fanatic, to put it mildly, and have an ever-growing collection of pans (much to Ryan’s dismay). Well, when I saw this one I was smitten. And as luck would have it, the lovely folks over at Nordic Ware wanted to send me one! Deciding what to bake in this beauty was a challenge. I wanted something striking, but I didn’t want it to take away from the prettiness of the pan. I considered a glaze, but worried it might cover too much. I’d considered a simple powdered sugar dusting, but I wasn’t 100% sold on that either. Instead, I decided to go with a naked (gasp!) 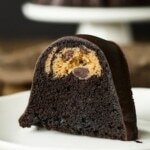 dark chocolate cheesecake stuffed Bundt. That’s the beauty of Nordic Ware pans — they are stunning on their own and don’t need all of the bells and whistles of a traditional cake. Don’t get me wrong, I am all about bells and whistles, but sometimes simplicity is the best way to go. 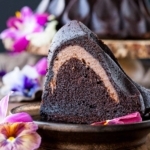 The rich dark color of this Chocolate Cheesecake Bundt is achieved with the use of black cocoa which is honestly one of my favourite things ever. I’ve used it SO much since discovering it a year ago. I like the intensity it gives to chocolate cakes and cookies, so I always try to substitute some of the cocoa powder with black cocoa. 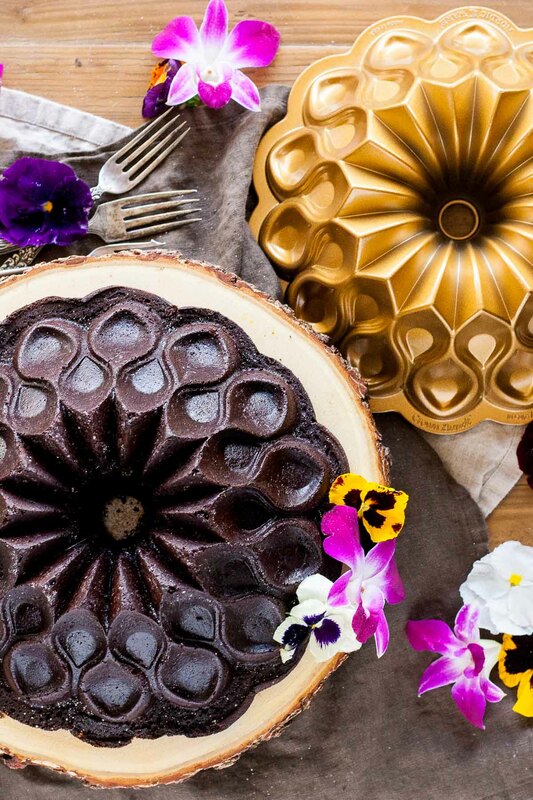 Can we talk about how stunning this Crown Bundt pan is? That gold-metallic finish is dreamy. And it’s a NICE gold, not a drab, faded iPhone gold. You know what I’m talking about. This pretty pan has literally been sitting on my counter since the day I got it. I don’t care that it takes up space, it’s too pretty to put away. In addition to the Crown Bundt, Nordic Ware has created an exclusive line of pans to celebrate their 70th anniversary. 70 years! Can you believe it?? They are family owned and operated, proudly producing quality kitchenware products, primarily made in America. With a wide variety of collections and hundreds of products, Nordic Ware has become known internationally, with millions of fans around the world. The anniversary collection is inspired by their Scandinavian roots, and all of the pans in that collection have this same stunning gold-metallic finish. It’s taking all of my restraint not to order them all. Along with their new collection, Nordic Ware will be launching contests and other events throughout the year to celebrate. Be sure to follow them so you don’t miss out! 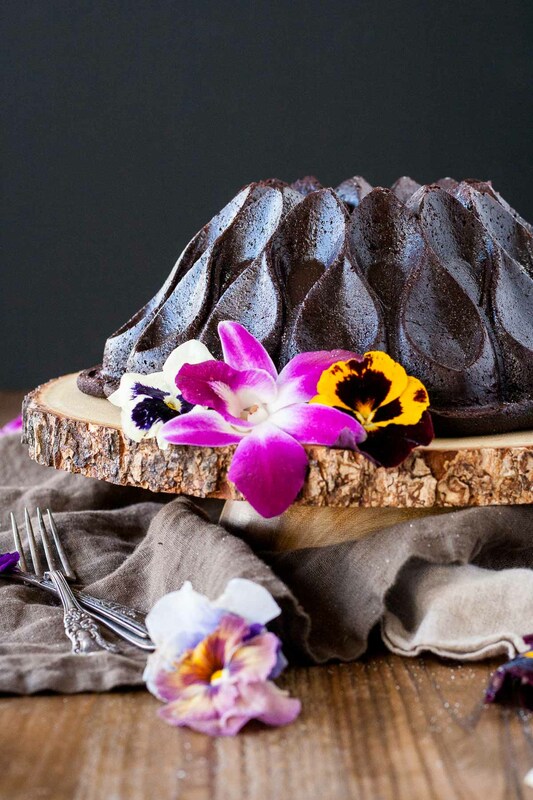 This cheesecake stuffed Bundt cake is amazingly good. It actually rivals my favourite chocolate cake in both flavour and texture. 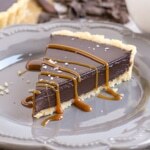 The cheesecake adds a bit of a tart tang that compliments the chocolate cake perfectly. I opted to fill it with a chocolate cheesecake, but you could do a plain one instead (just skip the melted dark chocolate) or any other flavour. If you’re not a cheesecake fan, you can just leave that out altogether and you’ll still have a delicious chocolate cake on your hands! Beat cream cheese and sugar until fluffy. Add in egg, vanilla, and flour and beat until well combined. Add in chocolate and beat until well combined. Set aside. Preheat oven to 350F. Grease a 10 or 12 cup Bundt pan and dust with cocoa powder. In a medium bowl, combine cocoas, espresso powder, chopped chocolate and boiling water. Cover and let sit 5 minutes. Whisk until smooth. Let cool to room temperature and whisk in buttermilk. Set aside. In a medium bowl, whisk flour, salt, and baking soda. Set aside. Place butter in the bowl of a stand mixer fitted with the paddle attachment. Beat on med-high until pale. Add in sugar and beat until well combined (approx. 3 mins). Reduce speed and add in eggs one at a time, fully incorporating after each addition. Add in vanilla. Alternate adding flour mixture and chocolate mixture, beginning and ending with the flour (3 additions of flour, 2 additions of chocolate). Mix just until combined. Dollop some cake batter into the Bundt pan and nudge into the cracks with a spatula. Add in more cake batter until pan is almost half full. Carefully dollop in cheesecake filling being sure not to let it touch the sides. Whack cake pan on the counter to get rid of any bubbles and fill in any cracks. Bake for 50-60mins or until a cake tester comes out mostly clean. Rotate pan after 40mins. Cool in Bundt pan for 10mins. Whack Bundt pan on the counter to loosen cake and turn out onto cooling rack to cool completely. * If you don't have black cocoa, just use Dutch-processed. ** Be sure to only fill pan no more than 3/4 full. If you have batter leftover, you can bake it alongside the Bundt in a loaf pan or in cupcake tins. Recipe inspired by and adapted from Handle the Heat. Another stunner from you! It’s coming time for our huge pie and cake auction for missions at church so I’m trying to decide what to make. I did your lemon poppyseed and rocky road bundts lady year – real winners! I’m thinking of this one in either the blossom or heritage pan. Am leaning towards the latter. It need some to look spectacular- any suggestions for glaze (especially one that firms up vs. running down and off the edge of the platter) or deco? Hi Ruth-Ann! You are too sweet! I love the heritage pan, it’s my all time fave! It’s a stunner, so I would go with that one 🙂 For a glaze that firms, you could do a chocolate ganache. It would run down, but shouldn’t as much as a traditional powdered sugar glaze — especially if you let the ganache thicken slightly before pouring. If you want to try that route, I would do a 1:1 ratio (by weight) of chocolate to cream. 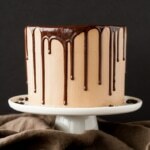 Here’s an example, of what it looks like on a layer cake anyhow: https://livforcake.com/mocha-chocolate-cake/ Let me know what you decide and if you need any tips! Thanks! I may test that out. Have to think of some decor that’ll pop. Or, do you think there’s a white or other color equivalent (for contrast)? Here’s a snag I’m now also tempted by your black forest cake! 🙂 I may have to do both!! For this cake you caution against letting the filling touch the sides; same for the centre tube too, I assume. Do you think I could use your homemade cake release and then dust with cocoa powder or better to use butter or oil (or crisco?) with the cocoa? Thanks! Hi Ruth-Ann! 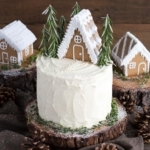 So nice to hear from you 🙂 For the Black Forest Cake I think the whipped cream should be ok at room temp for 3 hours – but if you’re concerned you can google for stabilized whipped cream recipes — those might hold up better! For this cake — yes to the center tube also and I think the cake release would be fine on it’s own, but you could dust it with cocoa powder too to ensure there is no white film on the cake. This cake is now in the freezer. I ha trouble dusting with cocoa in the deep ridges of the heritage pan. It kind of clumped even though I sifted it. So the cake didn’t come out clean and sharp. The filling didn’t actually sink so I guess I should have added it sooner. Ah well. I look forward to tasting it later. The other cakes worked out well. It looks good anyway. Next time I would skip the cocoa dusting. Hi Olivia, I am planning on making your beautiful chocolate recipe for a friend that works for the railroad so instead I am using the Nordic Express bundt pan. When I compare the volume of your cake to the Nordic Ware website specifically for this little train it looks like I should cut your receipt in half? Do you have any suggestions? Hi Jess! Yes, I would cut the recipe in half — you can do this by adjusting the Servings to 7. Baking time would need to be reduces as well for the smaller cakes. I would check to see how they are after 15 mins. I’ve never tried making cupcakes with this, but it can’t hurt to give it a go! Can these be made in the mini bundt pan too? Hi Tracy! I’ve never tried it but I think it could work ok. Not sure about the cheesecake distribution though! 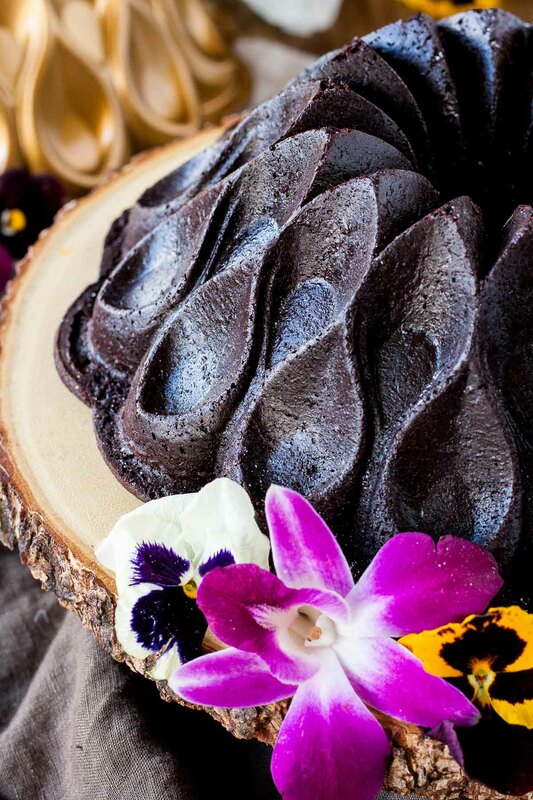 This cake is a real work of art, cut it to eat, but the dilemma seems so tasty. So I’ve made this twice now. Both times, upon attempt to remove the cake from the pan, it breaks apart at the cheesecake filling, leaving the cake below the cheesecake stuck in the pan. I’ve tried Pam and then cocoa powder and also oil dusted with cocoa powder. No success. Try using Baker’s Joy Non-Stick spray. I don’t use anything else for my Bundt pans and don’t have problems. Also when removing from the pan put the cooling rack top side facing down on the pan then flip both over quickly. This way there is not as much space for the cake to travel before it hits the rack. I totally agree the Nordic Ware bundt pan line is awesome! They are so easy to unmold & clean. I own the Heritage, Squared, Garland Mini, Star of David, regular bundt, Jubilee, mini (12), mini (24), Autumn Wreath, Bavaria, Chiffon, Elegant Heart, & Stained Glass. Plus I own the Nordic Ware 9″x13″ daisy cake pan. Hi there! I tried this recipe once and my family absolutely loved it. 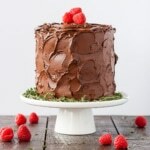 I’m planning to use this recipe for a birthday cake and would like to freeze it to firm it up so that it will be less crumbly when frosting. 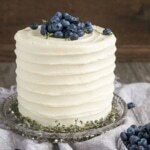 Would this cake freeze well given that it has a cheese layer? Hi Mich! I think freezing it would work just fine 🙂 Let me know how it turns out! Hi there. Your cake is beautiful by the way. We have this pan at a William Sonoma Outlet and will be picking it up this week! How did you get the curve into the cheesecake center part? Also, the direction say to fill the pan almost half way with batter before adding the cheesecake part, but the pictures definitely show it closer to the top of the cake. So does the filling sink down a bit? Hi Stephanie! So exciting that you’re getting this pan! You will LOVE it. The cheesecake filling does sink and it created that curve on its own during the baking/sinking process :). I actually wish it had stayed a bit thicker and not curved as much, but I think it looks pretty at any rate :). Let me know how you like the recipe if you end up trying it! Can you omit the expresso ..we don’t like coffee..what else would you suggest. Hi Kathie! The espresso is there simply to enhance the chocolate flavour, I swear you can’t taste it! That being said, you can leave it out entirely if you prefer :). I love this pan!!!!!!!!!! and I love this recipie!!!!!!!!!! In Spain we do not have this pan yet, I hope it arrive soon, but I could not wait more to do this recipe. So…. Here it is my version!!!!!!!!!!!!!!!! It is awesome, really delicious. This cake looks so decadent! Thanks to you, I have become obsessed with bundts as well- more the pans than the actual act of baking one but still. I purchased a whole bunch of them since I stumbled upon your blog and have fun out of place to store them in my tiny house so I had to build a new shelf unit! Hah. But my real question right now is where did you find edible flowers?! I know you’re in Vancouver so it was probably warmer in March there than it was in Toronto, but it’s almost May and I still can’t seem to find them in stores! Or are they not the edible version? Thanks a bunch. Hi Julianna! I feel your pain with Bundt pan storage. Sounds like you have a better solution than I do! Mine are randomly crammed/stacked into any inch of space I can find. My husband is SO pleased ;). I got the edible flowers at Whole Food in the produce section next to where the herbs are. They came in a little plastic container. They were in kinda rough shape, I assumed because it was still just March at the time. I imagine they’re much better looking in the summer! I bought 2 containers and had to pick through for ones that didn’t look totally dead, lol. I don’t know if I’ve ever described a cake pan as “gorgeous” before, but that is one gorgeous pan! (And cake!) Completely stunning. I found this cake on twitter and I had to click to see how you made it to look so unique and beautiful. The pan is gorgeous. I want to eat this cake right now. Pinning! Oh i cannot get enough of this cake! That bundt pan is heavenly. So gorgeous, great work! 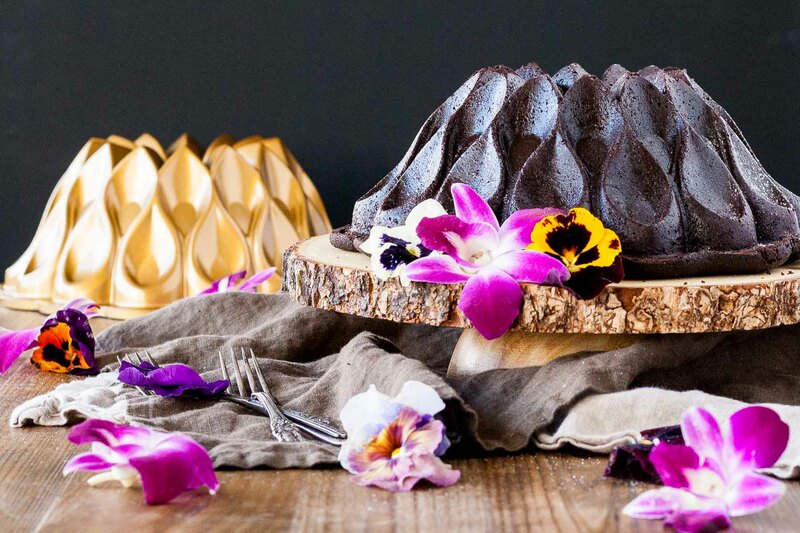 Such a beautiful bundt pan-it really does make art out of cake! And the color of the cake itself is simply sinful. I assume that’s the black cocoa at work? Definitely no need to cover up all that beauty! Wow Olivia, that has to be the most stunning cake and cake pan evet! I totally agree with your choice to go naked. It would be ashame to cover that spectacukar design with anything! Love that cheesecake filling! 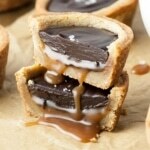 Decadent and delicious for sure! Thanks so much Mary Ann! 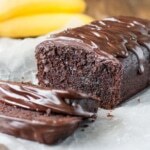 Just a clarifying question–is the “dark chocolate” called for in both filling and cake unsweetened or a good bittersweet chocolate? HI Constance! Great question actually — I used good quality bittersweet dark chocolate — Callebaut to be exact! But any good quality stuff will work :). This is so beautiful! Pinning and sharing! 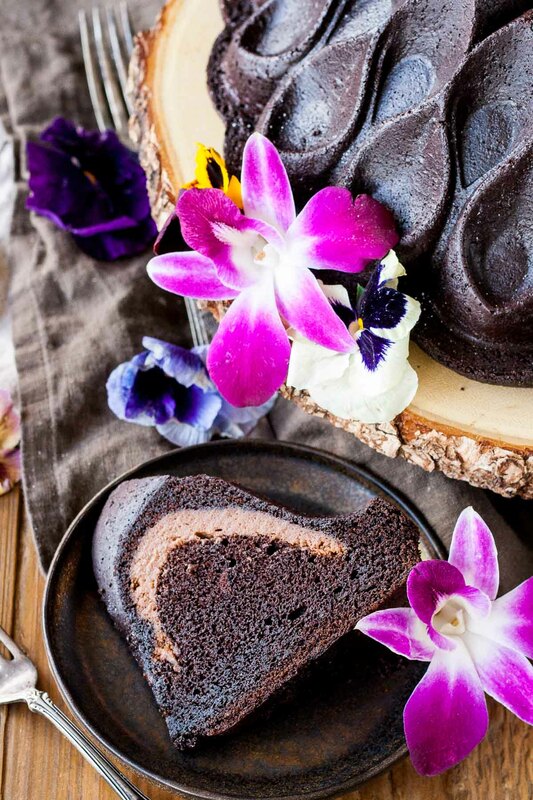 What a gorgeous bundt cake! YUM. Obsessed with that cheesecake filling, I can only imagine how good this cake must have tasted. This has got be the sexiest cake alive or by now dead ( I am sure you ate it all ) ! *And *That*Bundt* Pan* I don’t see anyone more deserving to be sent a cake pan to try out! Love this post and now you have lusting after this pan. OH MY EFFING WORD, OLIVIA (sorry for cursing and shouting, but…) I am so crazy about this pan! And this cake is mouthwatering! I don’t blame you for cursing OR shouting — this pan is a showstopper!! I can’t wait to see what you make in it 😄❤️. Oh Dear God you are soooooooooooo Lucky!!! I am dying to get my hands on this pan! I have my order in for my birthday but you cannot get it in Australia yet :'( This cake looks divine. This cake is unbelievable. I can’t believe how moist it looks!